Amsterdam Gay Pride is one of the most special and the biggest pride events around the world. 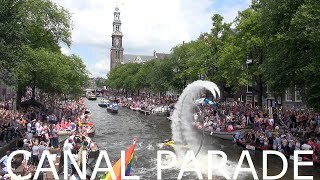 During the first weekend of August, you can always enjoy a series of circuit parties, street parties and (of course) the world's only gay Canal Parade. 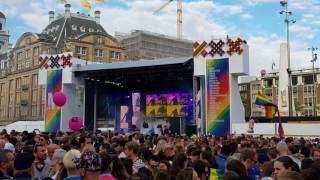 Visiting Amsterdam for Amsterdam Gay Pride? tell me where to buy tickets for a gay parade on the river cruise? or where possible information on the site? The idea of a gay pride being held in Amsterdam is ridiculous: it's the dullest and most reactionary town in NL. It may have been something special during the second half of the last century, but those days are over.